The Taiwanese President Tsai Ing-wen issued the country’s first apology to its indigenous communities. As a “country of justice”, Ms Tsai stated that Taiwan has to reflect on the past abuses and mistreatments of the aboriginal people and issue a formal apology. Mr Capen Nganaen, a representative of the Yami people, accepted the apology and urged for a clean- up of the nuclear waste deposited on his homeland Orchid Island. Ms Tsai promised to push through a law indicating the basic rights of indigenous peoples and introduced a commission that will deal with the injustices faced by the indigenous community. 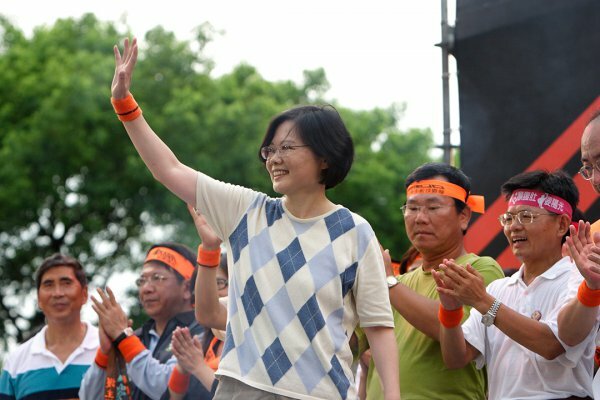 President Tsai Ing-wen of Taiwan offered a formal apology on Monday [1 August 2016] to aboriginal peoples for centuries of “pain and mistreatment,” and she promised to take concrete steps to rectify a history of injustice. In a ceremony at the presidential office in Taipei attended by aboriginal community leaders, she said that although Taiwan had made efforts to end discrimination against hundreds of thousands of indigenous people, a formal apology was necessary. Taiwan has 540,000 residents who are members of aboriginal groups, or about 2 percent of the population of 23 million. The Council of Indigenous Peoples officially recognizes 16 groups, with three — the Amis, Atayal and Paiwan — making up 70 percent of the total indigenous population. Taiwan’s earliest known residents are believed to have come to the island 6,000 years ago or earlier from Southeast Asia and are part of the Austronesian peoples who range from Madagascar to Polynesia. When Han settlers from mainland China began arriving in the 17th century, indigenous peoples, particularly those on Taiwan’s western plains, faced assimilation, loss of land and outright violence. Today, indigenous groups face high levels of unemployment, low wages and less access to education and other services. “Another group of people arrived on these shores, and in the course of history, took everything from the first inhabitants who, on the land they have known most intimately, became displaced, foreign, non-mainstream and marginalized,” Ms. Tsai said. Capen Nganaen, 80, a representative of the Yami, said he was happy to receive the government’s apology. “Taiwan has had many presidents during its history, but never before has one been willing to offer an apology to the indigenous peoples,” he said during the ceremony. He spoke of how the Yami had unsuccessfully resisted the use of their homeland, Orchid Island, southeast of Taiwan, as a depository for nuclear waste from power plants on Taiwan. “This is the pain of the people of Orchid Island,” he said. Mr. Capen said many Yami feared that an accident would render Orchid Island uninhabitable, and he called on Ms. Tsai to address how to remove the waste. Ms. Tsai became the first female president of Taiwan after winning a landslide victory in January, and her Democratic Progressive Party took control of the legislature for the first time. She campaigned in part on social justice issues, including an investigation into assets acquired by the Kuomintang, the former governing party, during decades of autocratic rule. Last week, the legislature passed a law ordering the return of ill-gotten assets taken by political parties since 1945, the year the Kuomintang took control of Taiwan from Japan, which had ruled the island as a colony from 1895. During her inauguration in May, Ms. Tsai said her government would take an “apologetic attitude” toward indigenous peoples. On Monday [1 August 2016], Ms. Tsai announced that she would lead a commission to address the injustices faced by indigenous groups and said that she would push through a law outlining their basic rights. She also said the government would provide compensation to the Yami before a decision was made on where to store the nuclear waste deposited on Orchid Island for the past 30 years.